Additional guides/boats can be scheduled with advance notice. A quote will be provided for total cost, and a 50% deposit is required to be paid at the time the trip is approved. Please sign the approval and email it to lewisvillecatfish@yahoo.com. Full final payment is due on the date of the trip prior to launch even if all parties scheduled to be on the trip do not show. We fairly priced the trip with the intended amount of parties included and may have also scheduled other boats to be in use. Anyone 16 years of age or older is required to have a fishing license. Please make sure that you have them available if the captain asks for them. We do not issue fishing licenses, so please stop by a Walmart™ or a TPWD approved location to purchase your licenses prior to scheduled trip date. *Cancellations due to weather on single boat trips are to be determined by the guide at the trip departure site on the date of the trip. In this case, no monies will be paid by client. Deposits will be held for 90 days from the date of the original cancelled trip to be used for the rescheduled date. After 90 days from the date of the originally scheduled trip another deposit will be required. *Cancellations due to weather on large party/corporate trips are to be determined by the guide based on the weather reports for the day of the trip. Your 50% deposit will be held for 90 days from the date of the original cancelled trip to be used for the rescheduled date. After 90 days from the date of the originally scheduled trip another deposit will be required. *Cancellations made 10 days or more prior to trip date can be rescheduled and deposit will be held to be applied to another trip date for 90 days from the originally scheduled trip date. After 90 days from the date of the originally scheduled trip date another deposit will be required. *Cancellations made less than 10 days prior can be rescheduled but deposit will be forfeited. Remember that when you paid your deposit you took the space of another paying client and we may not have enough time to fill your spot. *NO SHOWS-trips cancelled within 48 hours of the scheduled trip. We will send you an invoice for the full amount of the scheduled trip minus any deposits paid, no exceptions. Payment is due upon receipt. Remember that when you scheduled your trip you took the space of another paying client and we will not have time to fill your spot. Larger parties/Corporate: additional guides/boats can be scheduled with advance notice. A quote will be provided for total cost. 50% deposit is required to be paid at the time the trip is approved. Please sign the approval and email it to lewisvillecatfish@yahoo.com. Full final payment is due on the date of the trip prior to launch even if all parties scheduled to be on the trip do not show. We fairly priced the trip with the intended amount of parties included and may have also scheduled other boats to be in use. 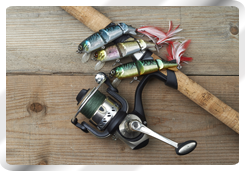 Fishing licenses: Anyone 16 years of age or older are required to have a fishing license. Please make sure that you have them available if the captain asks for them. We do not issue fishing licenses so please stop by a Walmart or TPWD approved location to purchase your licenses prior to scheduled trip date. You will board the boat and settle in for an enjoyable 5 hour (8 hours for full-day) fishing trip. If your goal is to have a fish fry or to just see how many fish you can catch this is a trip for you. Once the boat captain gets everyone settled on the boat he will travel to several different areas of the lake where the sonar is showing fish. He will either anchor up or set out the drift socks (depending on the amount of wind there is). He will either bait and cast the rods or even show you how to. There will be about 12 rods cast if anchored or about 8 rods cast if using the drift sock. Then the fun begins, sometimes as soon as a rod is cast and set! Once the fish is on the deck the captain will take photos of the larger catches and then place the fish in the cooler (it must be outside the “slot limit” to keep per TPWD rules and regulations on Lake Lewisville). Once the trip has completed the boat captain will get the party back to the dock and proceed with filleting your catch. Please be sure to keep your fish on ice until you are able to get it cooked or in a refrigerator/freezer. These trips consist of catch and release only fishing. Our main goal is to find that one fish that will knock your socks off and make you say "WOW" for the next few days. We want the adrenaline pumping and your arms to get tired and mostly for you to enjoy the experience of catching a PB (personal best) fish. As a disclaimer to these trips we cannot promise that you will catch a record setting fish but we will do our best! These trips can last from 4-8 hours and the cost is based on number in party, travel time, fuel cost & bait availability. These trips are ONLY available during the late fall/winter seasons and ONLY on Lake Lavon or Lake Tawakoni as this is when the monsters are most active. These trips are scheduled at 7pm-11pm at night. There is a maximum of 6 people per trip. This trip is mostly the same as the half/full day trip just at night. Fish caught are NOT filleted on this trip. Captain Tom is a registered minister with American Marriage Ministries which grants the authority to perform marriage rites in the State of Texas. We can perform your ceremony on or off boat. We provide a basic ceremony along with a special gift. Responsibilities of the couple: marriage license, any special items to be included in the ceremony, wedding rings. We can provide video/photo services upon request (will not be photographer quality). We can accommodate up to 4 people + captain/assistant. *By checking the box on the RESERVATION REQUEST form you have agreed to the Lewisville Catfish Guide Service Waiver and Release of Liability Claims and Assumption of Risk Acknowledgement Agreement and the Conditions listed in this section. Please print the form for your records. *Lewisville Catfish Guide Service strictly adheres to catch & release of any fish that is 10lbs or larger. Your catch will be photographed and measured (if needed for record verification purposes) and then released back into the water. All keeper fish will be filleted and bagged at the end of the trip. *Lewisville Catfish Guide Service strictly adheres to all rules and regulations of the Texas Parks & Wildlife Department. *Bring the following required items: Current Photo ID, current fishing license for everyone in the party that is 16 years of age or older. *A few items that you might want to bring with you: sunscreen, camera, hat, drinks, snacks, cooler with ice (to bring your fish home in). Small Playmate cooler should be sufficient enough to carry on the boat. *Please be sure to wear appropriate clothing depending on the weather. If you're not sure it will rain, bring a rain jacket, umbrellas are not needed unless someone in the party will need one due to medications that make them more sensitive to the sun. *PFD (personal floatation devices): Texas Parks & Wildlife Dept requires that we have a PFD on board for each person on the boat. We prefer that all passengers wear a PFD when the boat is under full power, but we leave this to the discretion of the adult passengers. Any youth 13 & under is required to wear the PFD at all times. Our PFD's are rated for an average adult, if you think that you need a larger or smaller PFD please bring one that is approved and rated to your size. Please let the captain know during your “night before trip” phone call that you will be bringing your own. *Rod, reels, & bait will be provided for your trip. We currently use gizzard or threadfin shad, cut bait (buffalo, carp or drum), and live perch (when available). We like to use Sudden Impact & Sure-Shot stink bait for channel catfish. If you have particular bait that you would like to use, please bring some with you. *We will be fishing from a 24’ Center Console Bay Boat with approximately 30 Driftmaster and Be Ready rod holders, up-to-date Lowrance electronics, sonar with side-scan and Navionics mapping. We usually anchor with 12 rods and drift with 6-8 rods. Brands are Abu Reels and Pro-Angler Medium Rods. *Night Before Trip phone call: you will be contacted the evening before your trip to discuss where & when to meet. You can ask any questions that need to be asked then or email us with any questions that you might have at tom@lewisvillecatfish.com. *See CONTACT US page for open boat ramps to meet your captain.